Excuse the excessive editing, still getting used to it. Lots of good mogs here lately too! Definitely getting me some ideas. Quiv that looks amazing! I love it!!! What a fantastic survival jungle vibe, makes me think of Rambo a little. Holy Freaking Transmog Batman, that is Beautiful! I finally got the Grim Sabatons to complete the "Enchanted Thorium" looking set. Thank you again WoW 13th Anniversary for making this possible. Damn, I am so jelly! Have the full set, but the gloves never dropped. Trying a new look with my Hunter of Light Mogg. Changed the shoulders and swapped a bow with a gun. 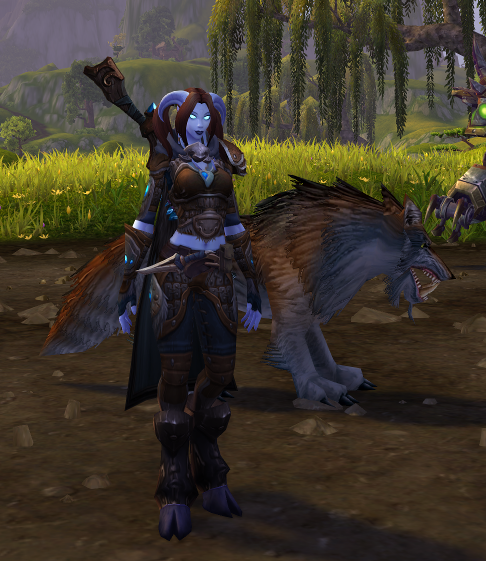 From the PTR the wolf helm goes quite nice with Rift Stalker set. Hello. 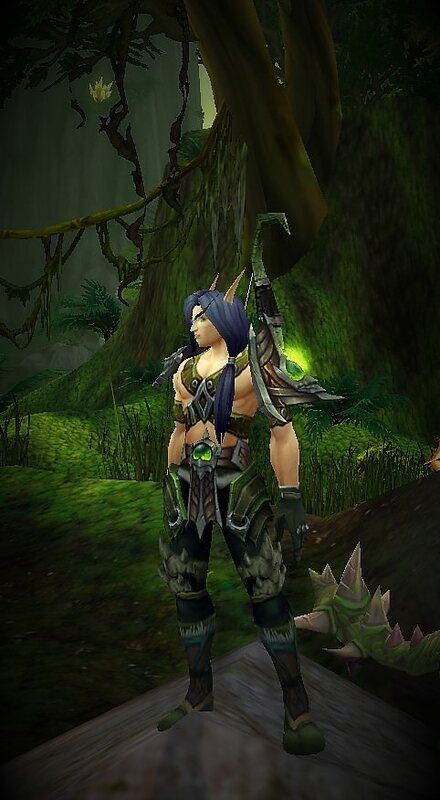 Trying out an "Azure" coloured Hunter mog. 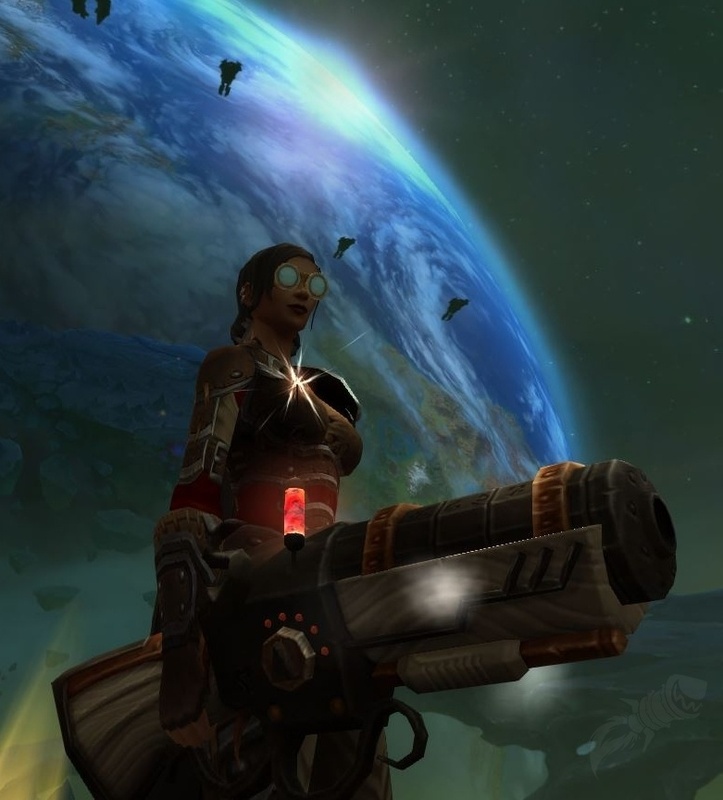 I combined one of the old Cata PVP sets with some of the current ToS drops, combined with WoD pvp rifle. I might need to change those boots though. Thoughts? I really like the Azure set, Kalasta -- but you're right, the boots seem slightly off. I also splurged on the helm of eternal winter! and it looks great with that set. 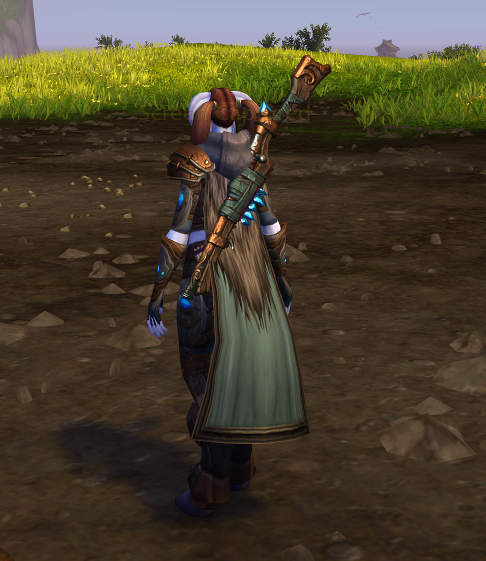 I always loved really nice earth tone and brown transmogs... seems like they are far and few in number in sets in this game. This one again is from LW...almost the full set, with the exceptions of the gloves and shoulders. 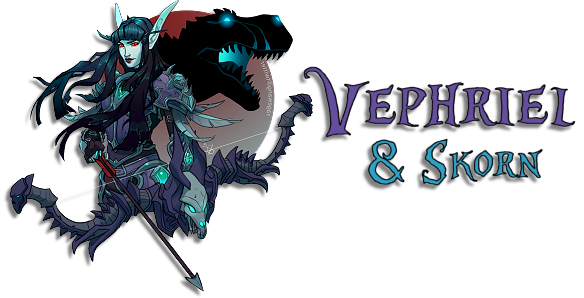 The weapon is a PVP one from MoP I think. 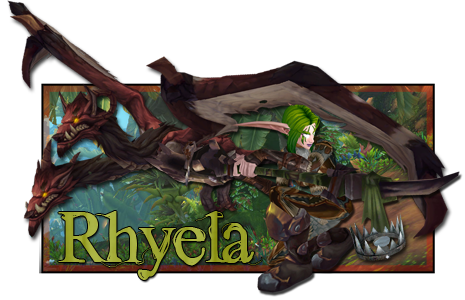 and the cloak, PVP from WoD. Thoughts? 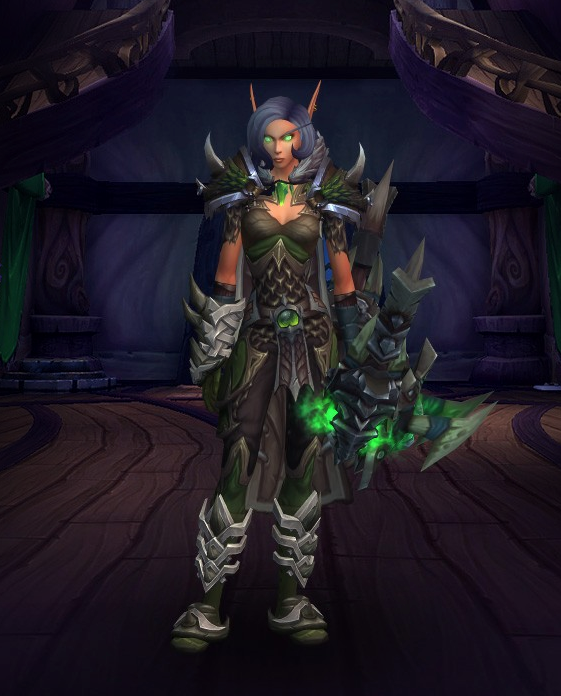 Wow that is amazing green mog. I think Morcott's Bow or KEeshaw's Bow would go well but its a simpler bow. Snarlwood Recurve Bow could too if you don't mind the bits of purple. Shield-Shatter Longbow is another. Also I love that paladin. 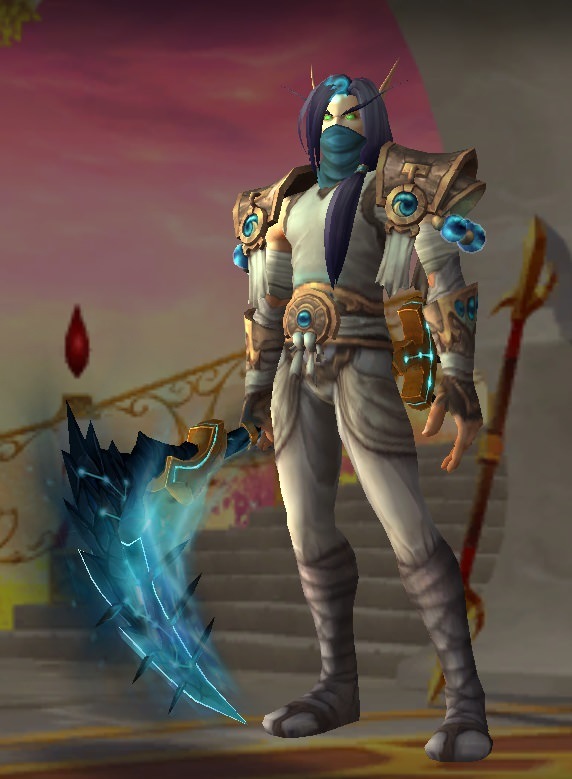 I saw a monk other day and I fell in love with its mog. 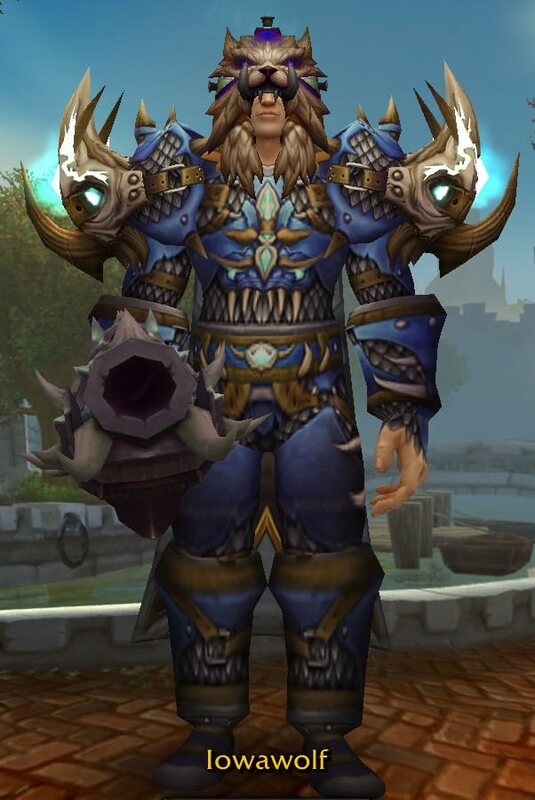 I really like that monk transmog! Good call on Shield Shatter Longbow -- I think it's between that and the Titanium Compound Bow right now. What chest and pants are those, Joonces?